Perak Museum is the oldest museum in Malaysia, founded in 1883 and housed in a fine heritage building opposite Taiping Gaol. It started out as a repository for a vast collection of ethnological, anthropological and zoological items curated during Sir Hugh Low’s tenure as Resident of Perak (1877 - 1889). This used to be an old style museum with exhibits arranged in dusty display cabinets but has now been given a more modern makeover. 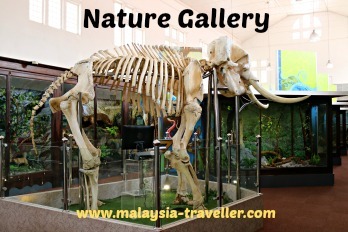 This gallery focusses on natural history and has complete skeletons of an elephant and a tiger among others. There is much taxidermy on display with the creatures set in life-like jungle dioramas - like a zoo, only with stuffed animals. This gallery features examples of Malaysian handicrafts, in particular woven bamboo items from Perak. Mannequins wearing typical costumes worn at Malay, Indian and Chinese weddings are on display (similar wedding exhibits can be found in a number of museums around Malaysia). 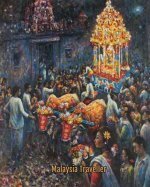 Something a little different is this gallery which describes the different ethnic groups of Malaysia’s aboriginal people, the Orang Asli and where they are distributed, their physical characteristics and their lifestyles. 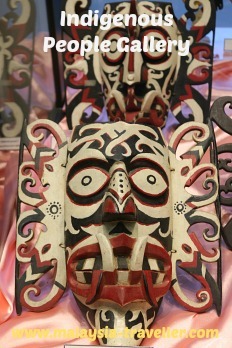 Particularly interesting is a fine collection of indigenous masks. Also in this section is a selection of traditional earthenware pottery and utensils which are crafted in Perak. This gallery is used to rotate some the museum’s unseen stockpile of exhibits. In the grounds of the Museum there are a number of vintage cars on display namely, a Rolls Royce Silver Cloud 1964, Rolls Royce Phantom 1972, Alvis TD21 Tourer 1960, and a more classic model made by the Star Motor Company in Wolverhampton, probably dating from the late 1920s. 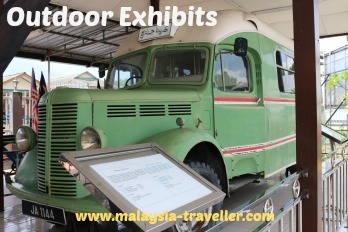 There is also a 1930s Bedford Lorry which was originally an ambulance but came to be used as a hearse by the Taiping Muslim Community Association until 1982. Other outdoor exhibits include a carriage of the Perak State Railway Company, a 19th century steam engine used to power high pressure hoses in open cast tin mining operations, a Malaysian airforce jet fighter and an old anchor reclaimed from the Straits of Malacca. There is a small museum shop which sells, among other things, some good quality Perak Museum T-shirts. Worth visiting even if only to admire the architecture of the Museum building. The orang asli mask collection is the best I have seen in Malaysia. Closed on the first day of Hari Raya Aidil Fitri and Hari Raya Aidil Adha. Kids (ages 6 - 12) Free for MyKid. 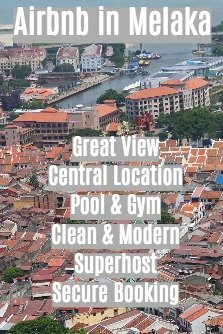 RM 2 for foreigners.